"I have consistently been treated as a valued customer. I never had the feeling that ERRII personnel felt I was too "small" of a customer." "After placing one call to ERRII, they were able to advise me how best to proceed. That advice yielded a quick resolution and peace of mind. The best part about it was dealing with ERRII representatives-no headache! Thanks again." "For months I tried to find my family member to no avail. In less than 24 hours, your office was able to locate them for me, saving me tons of time and aggravation. Thank you so much." "The investigator acted promptly, courteously and effectively, all of which pleased and comforted me in a time of impending disaster." "You have saved me hours of repeated worry with your expert advice and diligence on each situation that has arisen. We cannot thank you enough." "ERRII has always come through with the information I needed in a timely and professional manner. All the information provided was confidential and secure. The information ERRII provided was easy to read and understand. 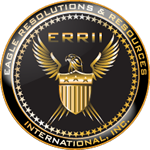 ERRII has years of experience and knowledge in the investigative field. I would recommend ERRII to my friends or anyone who might need their services." "We have very high standards and ERRII met those standards for our law firm... They gave 100% of themselves to a case and became part of the team... The equipment they used is the latest in technology. They work in good collaboration with other investigators when there are codefendants or co-clients on a case. We cannot say enough about ERRII. I believe every trial lawyer should be as fortunate as we are to have ERRII available to assist them in their preparation." "As a corporation, your investigative skills are unsurpassed and your reports are one of the finest I have seen in a long time. ERRII is to be commended for their imagination and expertise in completing very difficult assignments, which are fraught with dangerous elements..."